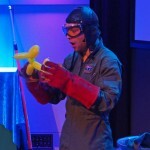 Max walked confidently into the foyer of Questacon, the National Science and Technology Centre in Canberra. He was enjoying his status as one of 101 local Canberrans chosen to experience the city’s wonders and then promote them on social media. 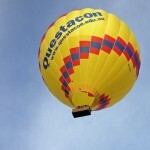 Today’s feature experience was to be a ride in the Questacon hot air balloon. He held tightly on to his niece’s hand as they entered the building. 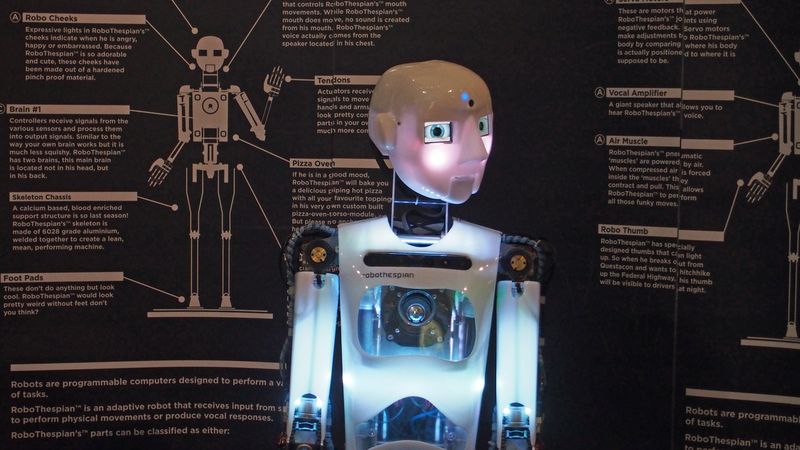 He had brought Jilly to Questacon before, but never so early in the morning, and despite at least thirty other adult and child ‘humans’ exploring the foyer in front of him, it also appeared mercifully quiet. At least compared to the heights of school holidays when the entire multistorey building was teeming with hundreds of children and tired looking adults. This was his first optional discovery event since the opening night of the 101 humans’ experience. He had been unexpectedly required to work interstate which had prevented him exploring more. He had heard about the wonderful, and at times strange, experiences of other ‘humans’, most particularly Kevin’s experience at the Royal Australian Mint and Annabel’s experience in the Augumented Canberra opening night. However he remained suspicious about how true their stories had been. He sensed they may have embellished those experiences to make them more interesting for social media readers. Jill had already rushed off to check out the special activities occurring in the foyer for the humans visit. Doctor scar was busy inflicting strange wounds and scars on children, presumably so primary care givers with their children today could trick care givers at home on their return; perhaps with the risk that they wouldn’t be trusted with the children alone again. Before Max could stop her, Jill had jumped into the chair and begun having a scar drawn on her forehead. He would pay for that later. At the very instant Doctor Scar had complete the fake injury, Jill was on her feet and running over to the balloon fairy to help her blow up and release super-powered balloon rockets around the forecourt. Next it was time to test what weights could be used to maintain helium-filled balloons suspended in mid-air. Jill discovered the perfect formula was half a cup of rice and two blocks of LEGO. Just when Max thought he was completely out of breath from chasing Jill around, and beginning to appreciate why his brother Mark and wife Theresa were always out of breath, an announcement came over the public address system. A round of sighs and disgruntled noises rose from the crowd around Max. For her part, Jill didn’t seem particularly phased. 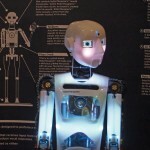 She had jumped on to the computer that controlled the Robot, known as RoboQ, in the foyer and was busy asking him odd questions (like what gender he was) and making him gyrate in some strange, primitive dance. For his part, the RoboQ seemed to be enjoying it. Max felt a little disappointed about the balloon ride, but on another level looked forward to visiting the Excite Gallery. Secretly, it was the main reason he had subscribed to the event. He loved taking Jill to that particular room at Questacon, so he could have an excuse to try out all the cool activities. His favourite was the free fall jump where complete with nothing but an orange suit, you were invited to drop several metres in free fall, before sliding down a plastic ramp. He also loved challenging Jill and other strangers to the four-way air hockey, or testing his heart rate. Just as Max prepared to start negotiating with Jilly for them to move into the [email protected] Gallery, one of the VisitCanberra guides came and gently tapped Max on the shoulder. Max considered this for a moment. ‘Jilly, up for an adventure?’ he asked. Jill giggled and nodded her head. ‘I guess we are,’ Max replied. The man before them was dressed in a US-style brown one-piece airforce suit. He seemed to finish every sentence with a broad smile. Jill and Max looked at each other, and then nodded in agreement. Jill and Max again nodded tentatively. In unison, although a little more quietly than the Captain had done so, Jill and Max replied, putting their thumbs up as they did so. ‘That’s what I like to hear,’ the Captain continued. ‘Because the two of you are going to become the first ever Aussienauts…well, you won’t go into space, but you will be pretty close. 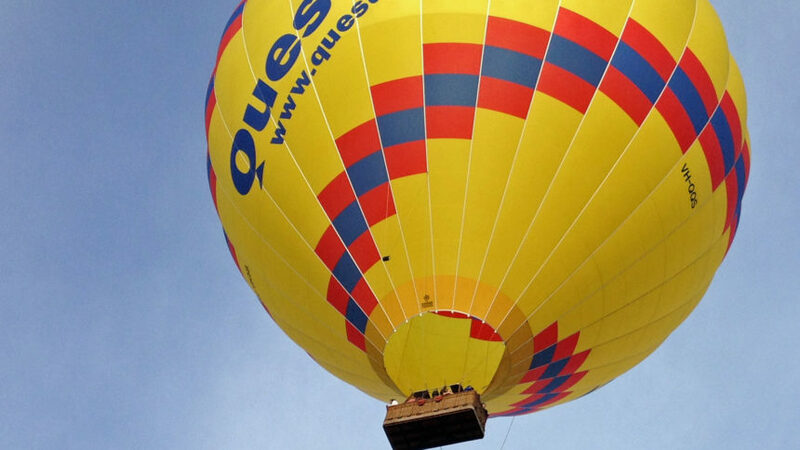 Helium is now in short supply and becoming very expensive. 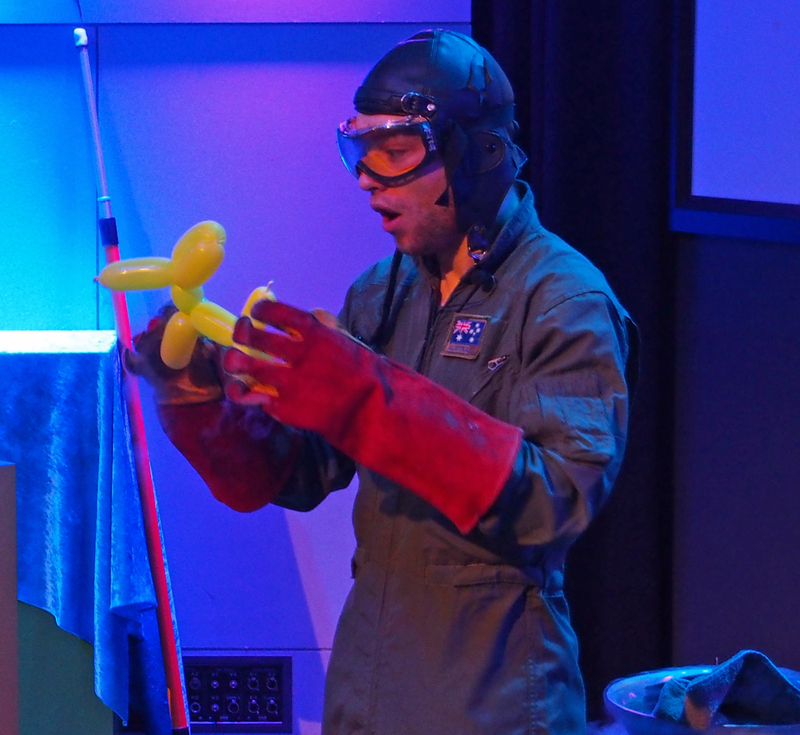 It is decreasingly used for ‘fun’ activities like testing balloons at Questacon. In future, it is likely to cost hundreds of dollars to fill a balloon. Breathing in helium is not recommended, particularly because helium canisters are not cleaned and can lead to people contracting Legionnaires’ disease. Liquid nitrogen can be used to shrink balloons to small sizes, and these could be returned to their normal size again with warm air. (The Captain demonstrated this in spectacular fashion). The balloon they would be testing was for use on an unmanned mission to Mars. It was a ‘superpressure balloon’. After the briefing was complete, the Captain motioned for Max and Jill to follow him. He continued talking as Max and Jill followed him. With this last statement the Captain opened a set of fire doors, revealing a large green field beyond. They appeared to have emerged at the back of the Questacon building. There in the field sat a massive grey balloon, larger than any hot air balloon Max had seen in his life. Attached to the bottom was a large square box. A ladder was positioned on the side of the box. The Captain ran across the field and quickly climbed the ladder. Max looked at Jill, and shrugged his shoulders, before both followed. As they reached the top of the ladder, they found themselves inside a shallow platform, which was surrounded by a panel of instruments. ‘Hold on to your hats Aussienaughts! We’re going to fly balloon style. And why?’ the Captain asked enthusiastically. The Captain again flashed his broad grin and pressed a few buttons on the panel in front of him. Suddenly they were taking off. In no time, they had climbed high in the air, the Questacon building quickly shrinking away from them below. Max was barely paying attention, so transfixed was he by the amazing view below. Canberra was like a toy city below them, with small cars rushing around on roads. For the first time he was able to admire Griffin’s land axis view from the air. Although he had seen models and maps, it was incredible to see the symmetrical beauty of the War Memorial, leading to Anzac Parade, and then over Lake Burley Griffin to Old Parliament House and finally Parliament House atop Capital Hill. As he marvelled at the people below, it suddenly occurred to Max how strange this massive balloon must look to those below. ‘Won’t we cause a bit of a stir, taking a balloon like this out in public?’ Max asked. Soon they had floated over Canberra city and were heading south towards bushland. ‘Where is he?” Jill asked, looking around the small box in which they stood. The Captain indicated to a large red button on the dashboard in front of him. The metal square below them began to open, as two large panels on the left hand side of square slid away. Suddenly a large collection of balloons were pushed out of the emerging hole and began hurtling towards the ground below. The ‘probe’ as the Captain called it was nowhere to be seen, as far as Max could tell. The object they had ejected from the ship appeared to be twenty balloons tied together. In no time, these balloons hit the ground and began to bounce. Max and Jill looked on amazed as they ballooned object did indeed bounce up and down across the bushland for several minutes, before coming to a standstill. It appeared for a moment as though nothing would happen, until Max realised the balloons were all deflating. When they had completely emptied of air, a side panel opened in the corner of the object, and a small vehicle rolled out on four wheels. It had a spinning aerial on its top. The Captain looked at his watch. Jill and Max nodded in agreement. In a few minutes, after a few more presses of the dials in front of him, the Captain had returned Jill and Max to the ground at Questacon. The Captain held out his hand. ‘That was awesome!’ Jill exclaimed. ‘Great, I hope you encourage your friends and family to come and hear my Balloon briefings at Questacon, although they won’t all get a ride like that,’ the Captain concluded. Max and Jill shook the Captain’s hand and made their way back down the ladder. They walked around the building to the main entrance. A tooting car drew their attention to the car park. Mark, Max’s brother and Jill’s father was waving to them from his car. They walked over and hopped in. ‘And in a way, it was beyound our wildest imaginations,’ Max added. ‘What’s that on your face?’ Mark asked suddenly, staring at Jill. She paused for a moment, before giggling. ‘It’s face paint Dad,’ she replied. Mark reached up and touched it, before satisfying himself it was paint. ‘Your mum is going to freak out. So what else did you do?’ Mark asked. Jill and Max exchanged glances. ‘Because balloons are great, mate!’ they exclaimed, cackling with laughter.